At our annual educational conference in May 2017 at the Hilton Hotel in Liverpool, we were grateful to our Gold Sponsor GE for their presence and support! 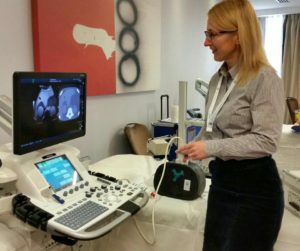 GE brought four state of the art ultrasound machines with Fusion capability, which allowed us to host a hands on workshop in collaboration with the British Medical Ultrasound Society (BMUS). 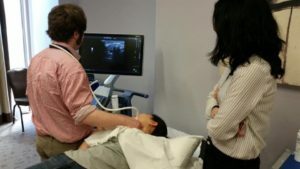 For two days trainees were able to learn about fusion imaging of real time ultrasonography and CT/MRI. These demonstrations proved to be a huge success with some excellent feedback from our delegates. We want to extend our thanks to GE for adding another dimension to our conference; without their contribution and experience we would not be able to host such a successful event!